The session I watched was hosted by Lori Wright, General Manager for Microsoft Office 365. Wright brought in several people who demoed features illustrating Microsoft’s vision for the future of teamwork in a collaborative modern workplace. 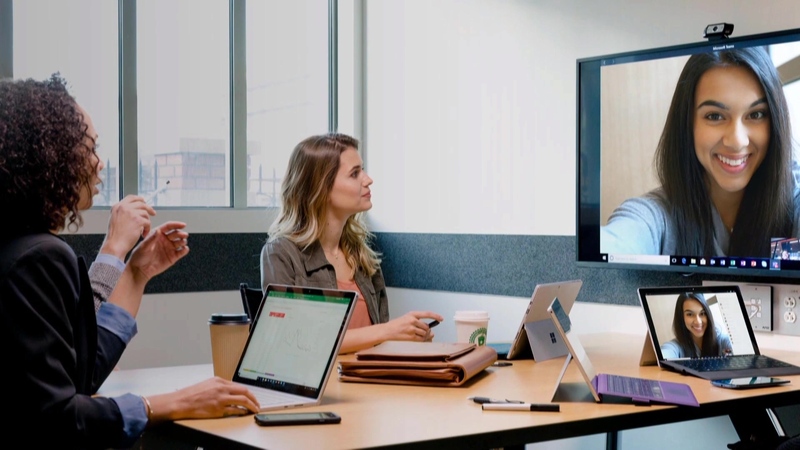 Digital technology continues to advance in new ways, and Microsoft agrees that collaborating in the modern workplace should involve every person, in every organization including Firstline workers (and we do too!). 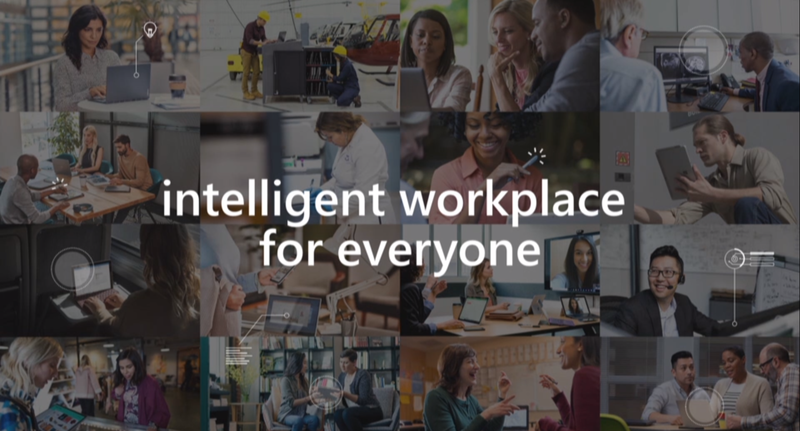 Office 365 provides an intelligent workplace for everyone. “An intelligent workplace uses technology to bring people together and it fosters a culture of engagement and inclusion”, stated Wright. Wright also shared that a recent Gallup employee survey showed that only 15% of participants felt engaged at work. However, when looking at global numbers, the most successful companies showed 70% of their employees felt engaged. In these companies with engaged employees, results showed profits were 21% higher. There is a direct correlation between employee engagement and company profitability. Farren Roper, Senior Product Marketing Manager, promoted and demoed the intelligent workplace concept within Microsoft Teams. He highlighted one-on-one chats, and how users and teams can work together around Office applications, or more specifically the Office application files. Roper said, “True Collaboration happens when everyone has a voice.” His demo presented how Microsoft Teams supports translation to a user’s native language in Teams Chat to help bring teams closer together while enabling team members to communicate with their preferred language. He also showed the immersive reader, which brings more accessibility to users that can benefit from using tools that work for them. Roper was very excited to share that Private Channels (the number one requested Teams feature) is coming this year and is currently being tested internally at Microsoft. He provided proof by showing a locked channel icon. Roper also showcased a new calendar view within Teams that looks like your Outlook calendar, but provides Teams features, like being able to chat with meeting participants around your relevant content. Recently announced, Roper also showed us several Microsoft Phone System features that will work within Teams. Addressing Firstline Workers, Keara James, Product Marketing Manager, reminded us that many Firstline Workers don’t have desks, and demoed Shifts within Teams via a mobile phone. She showed how a Firstline Worker might check schedules and clock in and out from their devices. Management can even geo-track devices for verification of being on premise. When demoing the Smart Camera, James showed how an employee might take a picture of a receipt and how Smart Camera would optimize the image, making it easier to read. James also shared how Praise, a familiar Yammer feature, is coming to Microsoft Teams to increase the connectivity of teams and better engage groups. James addressed the implementation of many of these features and noted that administrators can provide role-based access to the Microsoft Teams experiences that their team will benefit the most from using based on policy. Microsoft is also currently in the process of building experiences for both Healthcare and Education specific industry markets. These new features within Teams will help to improve patient care and provide a new way for teachers and students to communicate, leading to a better facilitated learning experience. Microsoft Teams Meetings and the features they offer are continuing to improve. Jace Moreno, Senior Product Marketing Manager, and Ilya Bukshteyn, Partner Director for Microsoft Teams Devices, shared and demoed how the meeting experience is evolving to bring people together in modern ways. Moreno shared details of Live Events, which are now available. He demonstrated how Microsoft Teams now supports live captioning in the viewer's native or preferred language. Live Events can support up to 10,000 attendees. Moreno and his colleague also demonstrated custom backgrounds and a new 4-9 expanded meeting gallery, with the ability to video pin a meeting speaker. Bukshteyn demoed Rooms Meetings, and with a couple taps joined via his phone with zero audio feedback. Bukshteyn also demoed Microsoft White Board and had a meeting attendee convert an image to Digital Ink, providing the ability for all meeting attendees to mark up the illustration. Unveiling a classic whiteboard like a magician pulling back a curtain, Bukshteyn showed content capture cameras, which work with any USB webcam. Called Intelligent Capture Services, it recognized the whiteboard, framed it, zoomed in and reduced the glare while sharpening the ink. All of the features working seamlessly together. Furthermore, the technology was able to turn the burly Bukshteyn transparent as he moved in front of the board and began writing. The new technology made for a very impressive demonstration. Wrapping up was Bob Davis, Corporate Vice President of Office 365 Engineering, who shared updates on the Microsoft Teams Admin Center, including improved metrics now available for administrators. Davis shared that Microsoft transitioned 180,000 employees and vendors from Skype for Business to Microsoft Teams in under four months. The fastest IT upgrade that Microsoft has ever accomplished. They did this by dividing users into different cohorts by function for which they developed readiness materials including videos for end-users and internal communications. They also identified their champions, with a total of 1,200 of them across the organization. Davis shared a link to an adoption toolkit for teams, that will help other organizations make the move. This Teams Toolkit should be very helpful for businesses in their Teams deployment planning. Davis shared that Microsoft has seen an explosion in Partner delivered services that include end-user adoption and new changes in management processes for meetings and voice deployments. In closing, the event highlighted many of the new Microsoft Teams devices, including headsets, speakerphones, desk phones, and room systems. You can learn more about them here.